Step 4. Click the "To HTML" button under the Convert tab in the PDF Converter toolbar. Within the Convert tab in the PDF Converter toolbar, you'll see the 'Other Formats' section. 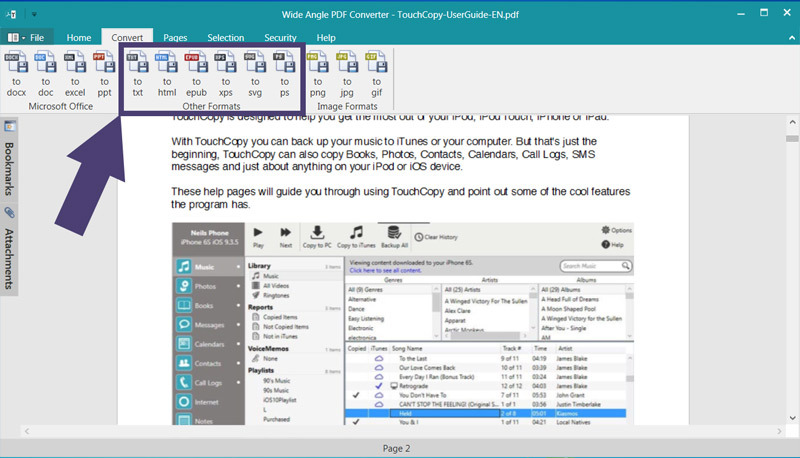 This provides the functions you'll need to convert PDF to other formats.